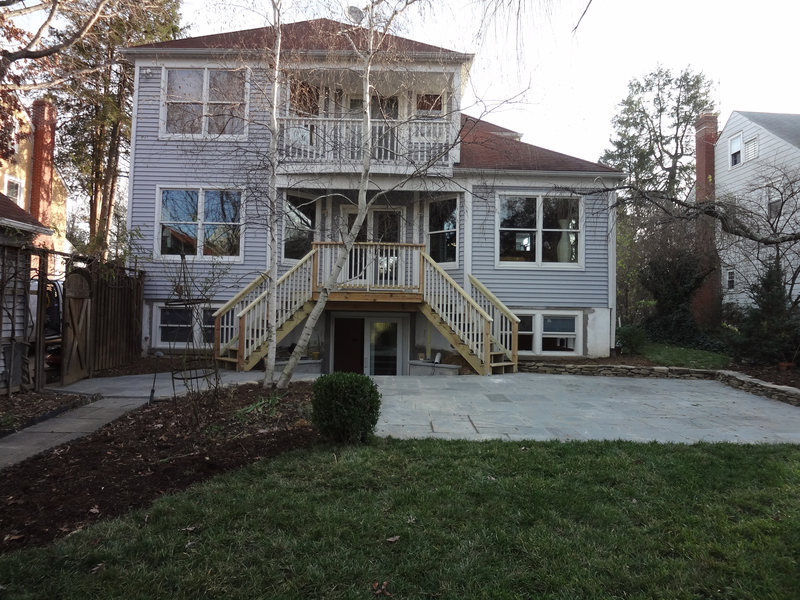 This client wanted a rentable apartment with it’s own kitchen, bathroom, bedroom, and living area designed and installed in the basement level of her home as well as a three season-friendly reworking of her rear yard. Noel DB developed a floor plan for the basement that maximized the space within an open style on the interior and added two levels of exterior access to a new patio area that maximized light able to reach the basement and provided the required egress at both levels. The very comfortable and bright apartment was immediately rented out upon completion and a very inviting and accessible patio area is ready for many years of entertaining or relaxing. James Noel has created for us a wonderful studio/one bedroom apartment in our half-buried basement in our home in Chevy Chase. 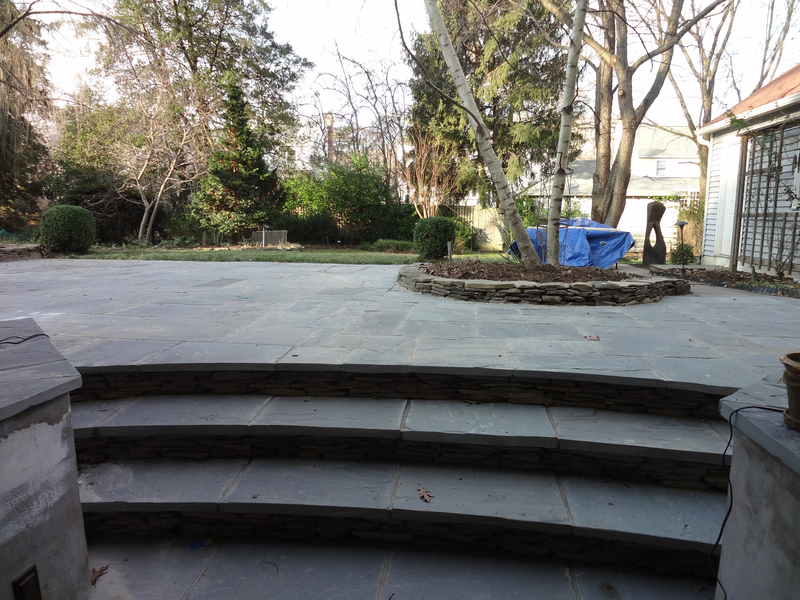 He has opened the studio beautifully on the garden, creating a nice stone-&slate- semi-circular stairway leading to a wonderful patio. The kitchen was beautifully designed with a very nice bar. Everybody likes the studio which has greatly enhanced the value of the house. James has paid great attention to structural requirements, as well as to smaller design details. He has been responsive, open-minded, warm and smiling. He has a great, hard-working, very competent team of workers. We highly recommend him.